Bastille Day is a commemoration of the events of 14th July 1789, when crowds of angry Parisians stormed the Bastille prison. This was an act of rebellion, intended to communicate their resistance to the king’s supreme rule; it ended up being the beginning of the French Revolution, in fact, and the subsequent formulation of the modern French Republic. Since 1880, 14th July has been national holiday in France. It is called Fête de la Fédération and celebrates the success of those who risked all for change on that fateful day. 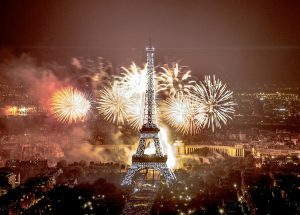 This celebration of French culture now happens all over the world, with parties, balls, feasts, fireworks and parades… all in the name of freedom. It should come as no surprise that Melbourne is fully on board with this too!